It’s extremely small, lightweight, fast and actually pretty cheap! Did I say it’s small? One thing I really love about this are the cables it come with. They aren’t you average flimsy cables. These are some heavy duty, thick cables that make it feel more secure! 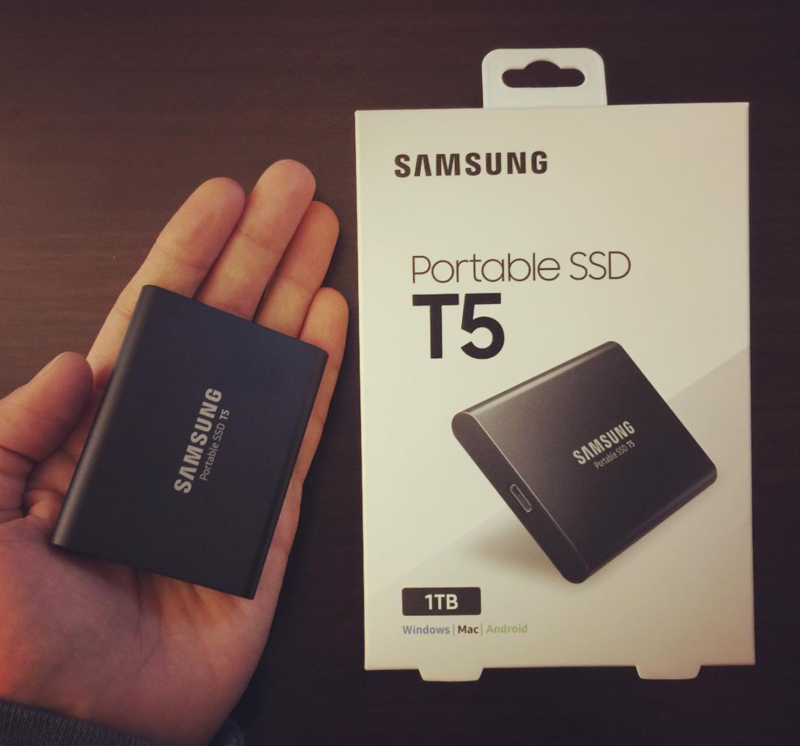 If you are on the market for a fast SSD, I highly suggest going with the Samsung T5 Portable SSD family!